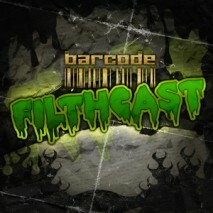 Barcode Filthcast 012: N-Phonix | Joomla! With the Russian drum n bass scene continuing to grow and export new talent, one name stands out in particular. With releases on Subtitles, Algorythm, Habit, and more, Moscow's Nphonix delivers a tight, neuro mix. From suspenseful tales of dark fantasy to experimental drum and bass extremes, antisocial audio to modern myth, bassy bangers and saucy smashers to pure and simple madness, this is the Barcode Recording Filthcast series. Part documentary, part slash fiction, the Barcode Filthcast, most acclaimed among young adults seamlessly intervenes the finest in awe-full hard hitting drum and bass, featuring artists such as Current Value, T.Z.A, Raiden, Counterstrike, Limewax, Infiltrata, SPL and more.